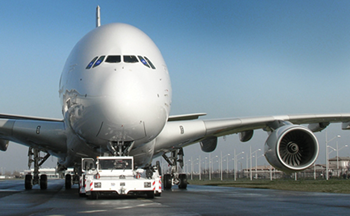 The aviation field has experienced tremendous growth worldwide. For Brazilian and foreign companies alike, insightful legal advice remains critical to the success and growth of their business activities. Commercial aviation in Brazil has increased significantly as a result of the country’s growth and the lack of other viable means of transportation. In 1960, Brazil’s commercial air traffic was second in volume only to the U.S.
Brazil’s aviation industry (including transportation and production of equipment and airplanes) accounts for approximately 3% of the country’s gross domestic product, generating US$18 billion and 35,000 direct jobs. Throughout the world, the aviation industry has continuously expanded, with worldwide aviation traffic expected to increase by 5% in 2010. At 7.9% per year, Latin America’s rate of growth is second only to China. Commercial aviation in Brazil was formerly governed by the Brazilian Aeronautical Code (CBA), enacted by Law 7565 in 1986 and overseen by the Civil Aviation Department (DAC) under the Ministry of Defense’s Aeronautical Command. In 2005, Law 11182 created the National Aviation Agency (NAA) in order to adopt all measures necessary to meet the public interest and develop and expand Brazil’s civil aviation, aeronautical and airport infrastructure. The NAA promoted independent, lawful and impartial aeronautical operations, and encouraged the use of advertising. The National Civil Aviation Agency is a federal regulatory agency governed by a particular system of operations under the Ministry of Defense, and consisting of various Aeronautical Command agencies, specifically: the Civil Aviation Department, with its Regional Civil Aviation Services; the Scientific Institute for Operational Aeronautics Activities; the Civil Aviation Institute; and the Institute for Industrial Development and Coordination’s Civil Aviation Certification Department. One reason for changing the former industry model was to create a technical agency with political independence and autonomy based on new and stable rules aimed at attracting investments. The Agency’s duties regarding economic regulation include prohibiting abusive competition practices through joint operations with the Administrative Board of Economic Defense, authorizing and developing routes and airport infrastructure, inspecting aviation services and granting permits. Almeida Advogados has years of collective experience in providing specialized legal services in the aeronautical law field, ranging from air traffic and transportation to civil aviation in general. The firm also renders legal consulting services to companies and investors for negotiating agreements regarding airplane ownership and operation and related services. Given aviation law’s global scope, our specialized attorneys have the requisite knowledge and understanding of both Brazilian legislation and international rules and treaties.